Just 45 minutes from the Kaohsiung HSR station, Dapeng Bay (大鵬灣) is a grand lagoon with motor sports, water activities and plenty more to offer. Its enclosed waters and easy access to the sea have made it one of the most popular windsurfing and sailing areas in the nation. 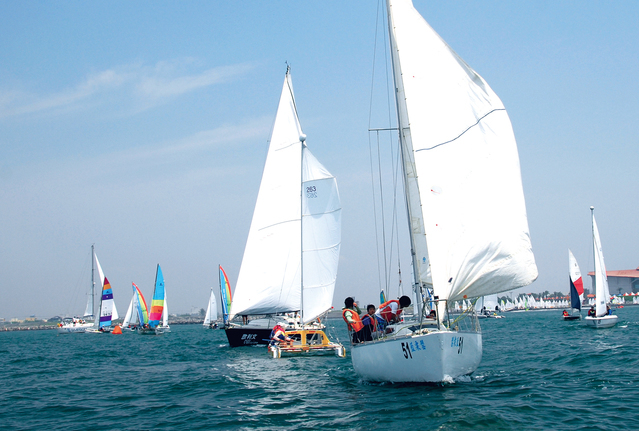 To honor its close ties with the wind and waves, the bay is holding the 2016 Yacht and Regatta Festival on weekends from March 26 until April 10. Visitors can get a taste of the rich aquatic culture, along with street performances, live bands, samba dancers and a white foam party. Never windsurfed before? Never fear! The festival will offer free guided windsurfing lessons at the Dapeng Bay Sailboat Club if you bring receipts to donate for charity. It’s the perfect opportunity to try a new water sport while also supporting a good cause. From April 9-10, visitors can also partake in kayaking races, enter special raffles and check out a gourmet market on wheels. In between events, make sure to check out some of the surrounding spots the Bay has to offer, including the nation’s only drawbridge, Oyster Shell Island, the International G2 Race Track and many more unique attractions you can’t find anywhere else in Taiwan.